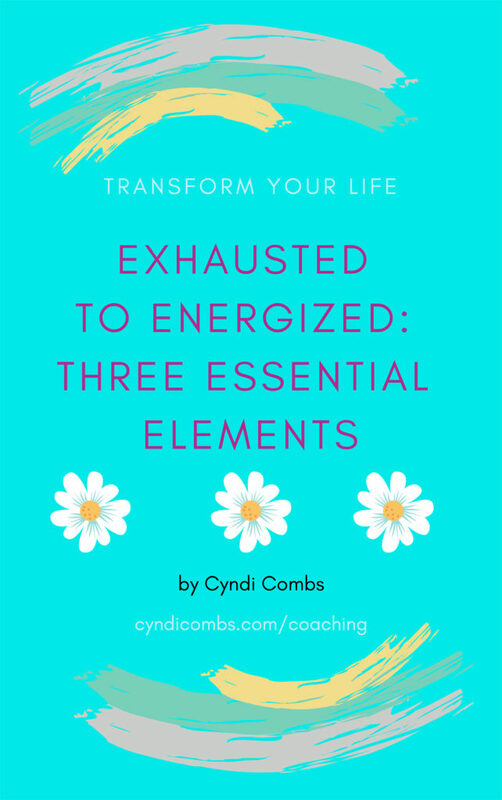 of Cyndi’s eBook, and start energizing your life today! How do you know if I am the right coach to help you create the life you are longing to live? Call me for a FREE empowerment session! We’ll explore your hopes, goals, and motivations, examine the ways core energy coaching can help you transform your life, and decide if our energy is a good match to partner together to make those changes a sustainable reality for you! What would it be worth to create the life you truly desire? Call me when you’re ready to find out! Nine coaching sessions over 13 weeks. Sessions are 30-40 minutes, and can be in my office or by phone. Client may reach out by text or email for cheerleading on goal completion or motivating reminders. One bonus sessions of 15-20 minutes can be scheduled for additional support as required by client. Client will text to schedule a time for the bonus sessions. Receive download link for 7 minute centering exercise guided by Cyndi. Cyndi will combine one of the affirmations you create during a session with one of her photographs for a personalized and memorable affirmation. Why is helping transform lives her passion? Cyndi’s own struggles with food allergies and addiction, paralyzing self-doubt, loss of confidence, and lack of enthusiasm left her desperate to create more joy and satisfaction in her life. Though she had a thriving career she enjoyed as a respected massage therapist, and a loving supportive family, she had a voice in her head telling her she was never enough and that something vital was missing. Over the years she tried alcohol and food to fill the emptiness. With the help of AA she overcame the desire to drink in 2002, but the food addiction flourished for another 15 years. When Cyndi discovered she was allergic to dairy, wheat and sugar, she knew that something big was going to have to shift in order for her to make the changes necessary for her health. Turned out that the biggest shift required was in her thinking. So many frequent thoughts drain people’s energy. Once identified, these energy-draining thoughts can be reframed to conserve or even boost energy. This realization sparked a renewal that infused Cyndi’s life with abundant energy. 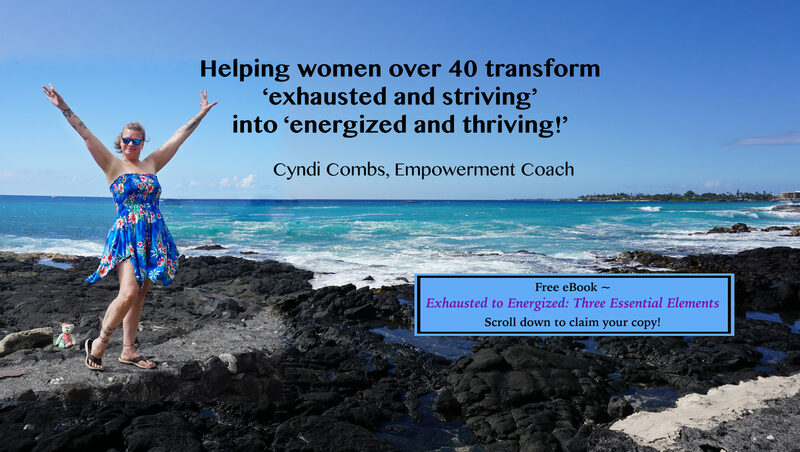 She discovered the ease with which transformation can happen when you have the support and tools you need, and transformed her life so she felt engaged, excited and energized. Now her passion is empowering other women to create healthier, happier, energized lives. With core energy coaching, Cyndi helps women release what’s holding them back, discover their purpose, and reclaim wasted energy. Cyndi loves spending time with her family and traveling to beautiful places with her partner Jeremy, and their chocolate dapple dachshund, Boscoe. Cyndi’s other passion is photography. 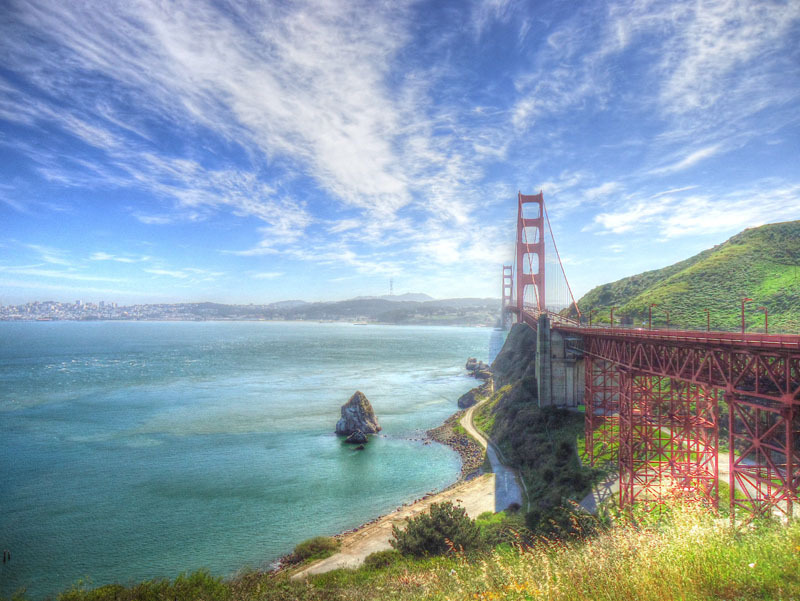 Cyndi has lived in Northern California for 40 years and is an avid fan of the elegant lines of Bay Area bridges, the crashing surf of California’s coastline, and the stunning beauty of our State and National Parks. Cyndi is intoxicated by the splendor of nature and finds infinite joy in capturing its stunning beauty. Her landscape and seascape photography is meant to kindle the spirit, and inspire the viewer. If you want to explore her art, click here: cyndicombs.com/photography.